Materials used for monuments and memorials have varied over the past centuries. Materials like wood, sandstone, marble, and limestone have been replaced by longer lasting materials; granite and bronze. 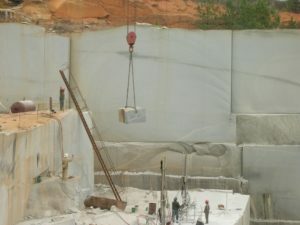 Granite is found throughout the world, a variety of colors exist but still maintain the same basic geological structure. The variety of colors exists because of the varying minerals in the rock. 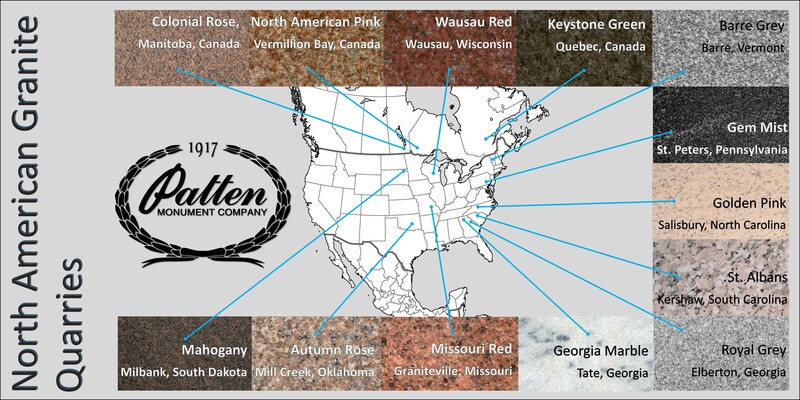 The above map shows a number of different types of granite quarried in North America. The majority of the stones used in the monument industry are included on this map.